See how our products provide industry-specific solutions for video processing and display in real-world situations. 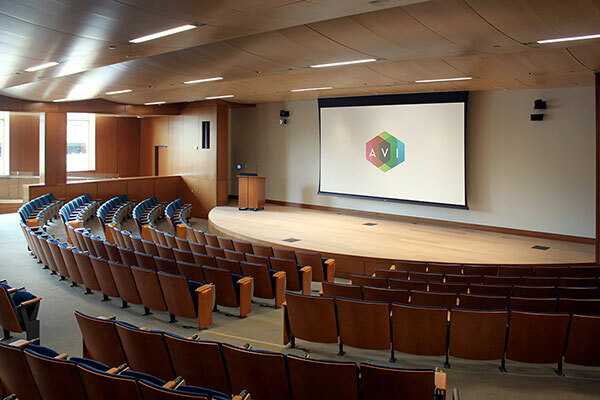 The existing A/V control room was to be transformed into a centralized facility to manage and distribute visual content from a wide variety of sources to multiple facilities. Prior to installation, classrooms were independent and unconnected, which resulted in redundant hardware and diminished usability and productivity. The IT manager now uses RGB Spectrum’s matrix switchers and MediaWall video wall processors for high performance and low latency distribution of multiple sources to multiple classrooms from the central operation center. The result is a streamlined educational system allowing better use of facility resources and personnel.